The Trans-Gambia Highway: Integration of Isolation? Program for African Thought > Blog > African Angle > The Trans-Gambia Highway: Integration of Isolation? Gambian President Yahya Jammeh said he would not negotiate with a government that closes its border with his country, especially since such decisions adversely affect people from both countries. However, many commentators criticized Jammeh’s unilateral decision to increase ferry tariffs since it directly led to the recent border closure. 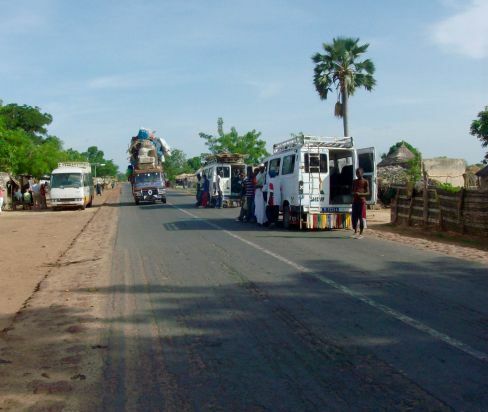 Consequently, truck drivers were forced to take longer routes around The Gambia to southern Senegal and their fares nearly doubled. The increase in travel time from six to 48 hourscaused frozen vegetables and other goods to perish and created economic hardship for women traders.